When a person has been clearly shown the truth and still refuse to change their mind, they are in a state of willful blindness. This is similar to willful ignorance where a person could know the truth, but they choose to deliberately ignore it. It is safe to say that willful blindness is one “disease” that God cannot, or will not cure. Our passage in Matthew 15:14 suggests that these people select other blind leaders to lead them around. In other words, both leader and follower are willfully blind. In fact, when a person is willfully blind, they will surround themselves with leaders who are just as willfully blind as they are. They will avoid anyone who “sees” their blindness; that is, anyone who could lead them to a change of mind (repentance). In a word, they love their blindness, as it agrees with their own way of living and thinking. To shine a light upon this group is to incur their wrath, even as Jesus all too often experienced. Will you notice, “their eyes they have closed.” This is an obstinate refusal to recognize the truth of what is preached. Their heart had “waxed gross” or in the language of Hebrews, they had an evil heart of unbelief and departed from the Living God. (Hebrews 3:12) This means that their heart refused to receive what was said and consider it. No matter how much evidence was brought to bear; the people still refused to believe. They needed to be healed of their backsliding and rebellion, but they resisted the one who wanted to come into them and do the work. One cannot receive the Holy Spirit without agreeing with God’s word and believing on Him. We simply cannot receive His Spirit and resist His authority at the same time. In modern times, it is almost impossible to see any real change that would set mainstream Christianity on the right path. Why? Because when the light is shone, most simply go back to their blindness. They prefer blind leaders to ones who actually “see.” This is what happens when people don’t want to see what is being shown to them, and there is somebody there to show them something more agreeable to them. This is an awesome thing to consider. God will always allow a deceiver to be present in order to test the hearts of the people — whether they will serve God or not. Many people claim to love the Lord, but turn away from the truth to follow the blindness of our times. This is why the philosophy of many professing Christians parallels the latest trends in the world. 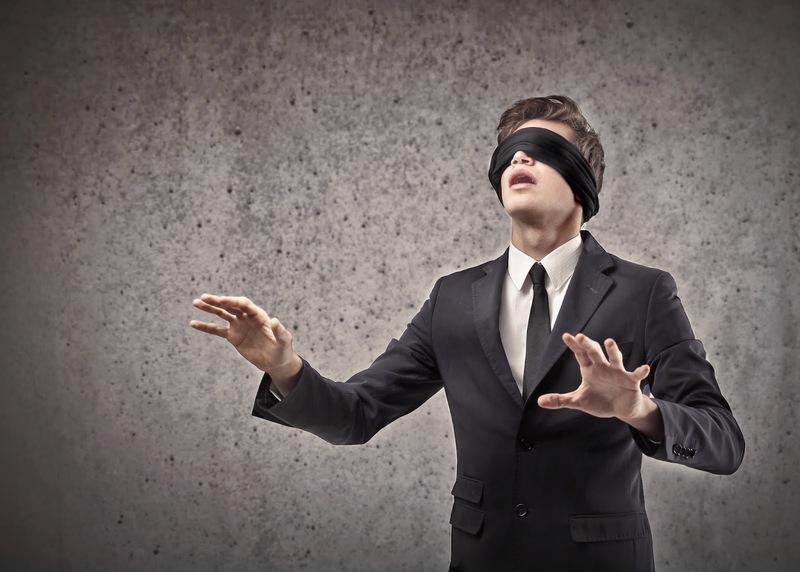 From popular culture and psychology, to political correctness and popular preaching — many take hold of the arm of the blind to be led into the ditch. What did Jesus say? Let them alone: they be blind leaders of the blind. And if the blind lead the blind, both shall fall into the ditch. Leave them to their own devices. Perhaps once they finally fall into the ditch they will realize the folloy of their actions. Trying to persuade them now is an exercise in futility. It’s not that they can’t see, it’s that they see and don’t want to see. They have blinded themselves to the truths that they don’t want to acknowledge. There is no hope for anyone in this condition until they repent. Their eyes are perfectly fine; it’s up to the individual to take off the blinders and see.